It's January here at the farm and that means it is lambing season. 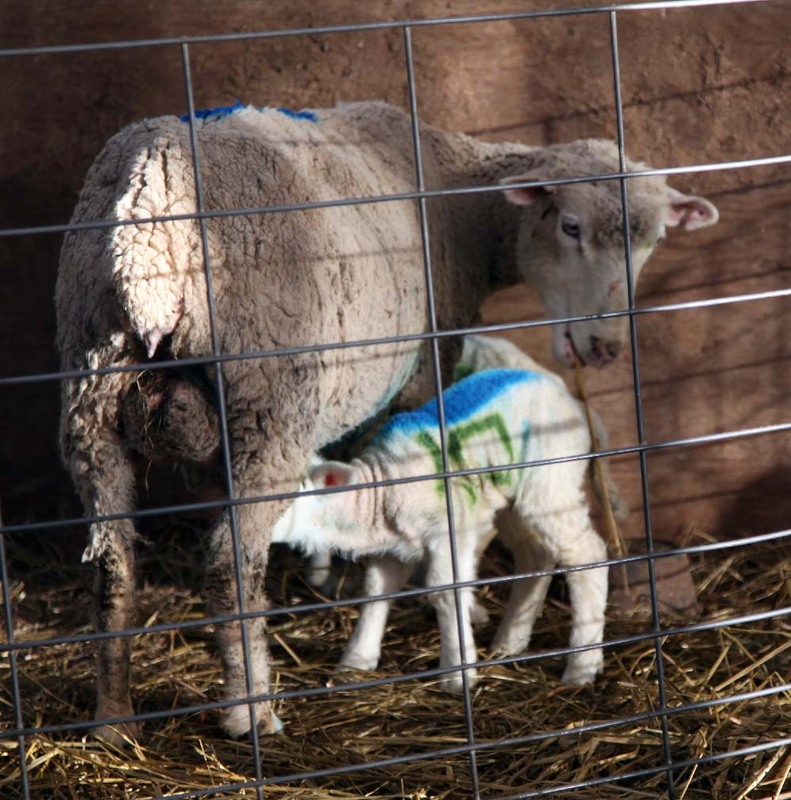 This week was a busy one with lots of twins and a few single lambs being born. 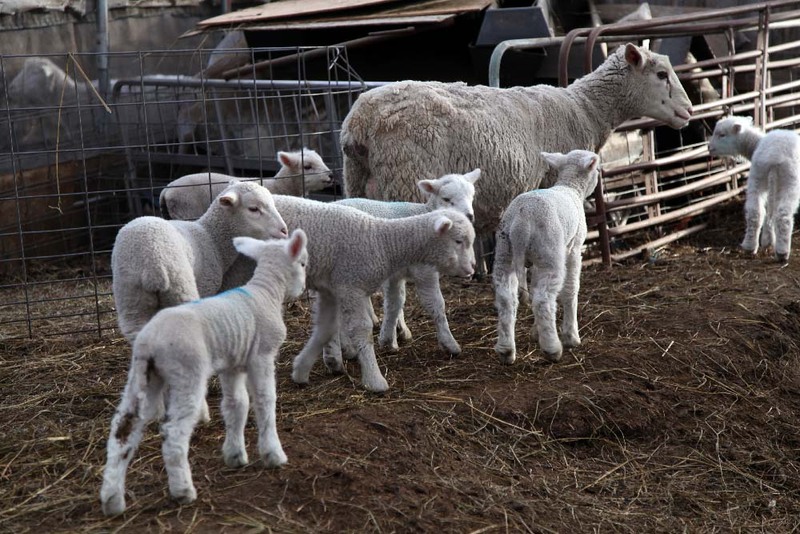 Lambing season is demanding for The Farmer and just plain busy. He is holding up pretty good - getting lots of exercise for that new hip but still is nursing that other hip. He loves lambing season. It makes me happy to see him able to care for his animals and loving all that lambing season brings. Twice this week he has walked in with a lamb in his arms and a story to tell. It is always a bit heart breaking but I have become very used to the different scenarios that play out. 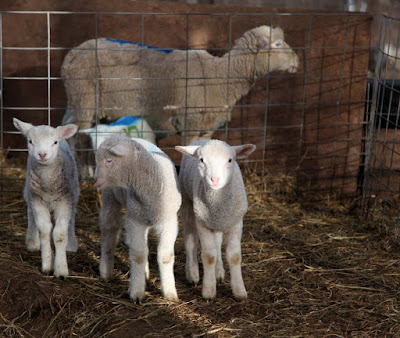 So far there are only two bottle lambs (sometimes they are called bummer lambs) but I am sure there are plenty to come. I am trying to limit the time the motherless lambs stay inside our house - due to the amount of work it is to clean it all up. 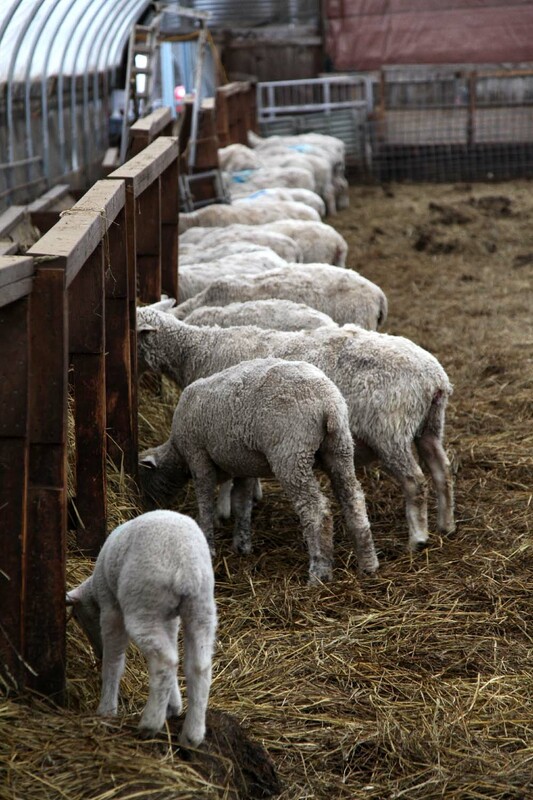 We have a pen at the barn for the bottle lambs and they get fed several times a day with lamb milk replacer. 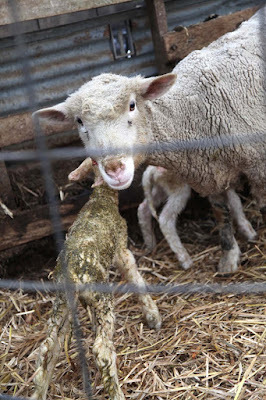 They never do as good as a lamb that nurses off its mother but it is what it is. We are expecting a huge storm this weekend. I hope we are ready - although you never really are. Snow shovels are out. Wood is in the house. Tarp is covering the rest of the wood. Sand and salt are ready. Here we go Mother Nature. Hope the lights stay on. We will deal with it. Nothing else you can do is wait and see what happens. Here are some photos from the barn this week. I'll try to get more this weekend in the snow. If I can get there. Our barns are 5 miles from our farmhouse. I arrived just after these 2 lambs were born. 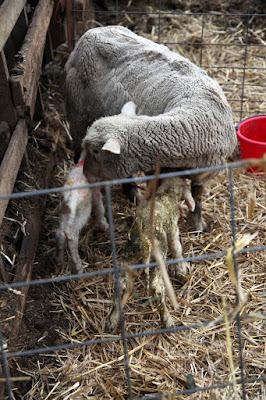 The Farmer had to deliver the larger one because it was breech. He was able to get it out and it had an odd greenish gold coating on it. The second lamb slipped right out and was more of a normal color. Today both are doing great and look bigger already. These two photos are shortly after birth and they both were up and looking for the mama's teats. 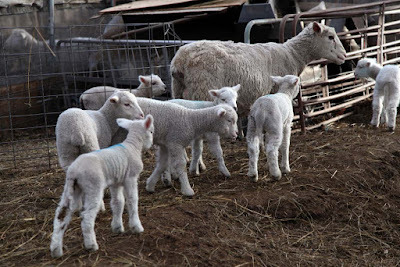 These lambs are a few days old - the numbers telling which Lamb # they are. Blue paint means it is a single. Green paint means it is a twin. There are a lot less sheep this year so there is plenty of room at the feeders. The barn just got cleaned out and it makes everyone feel better - sheep and humans. It will be filled again with hay and manure by the end of the winter and need to be cleaned out again before next lambing season. Have a good weekend everyone. Stay safe if you are in the path of the snow. 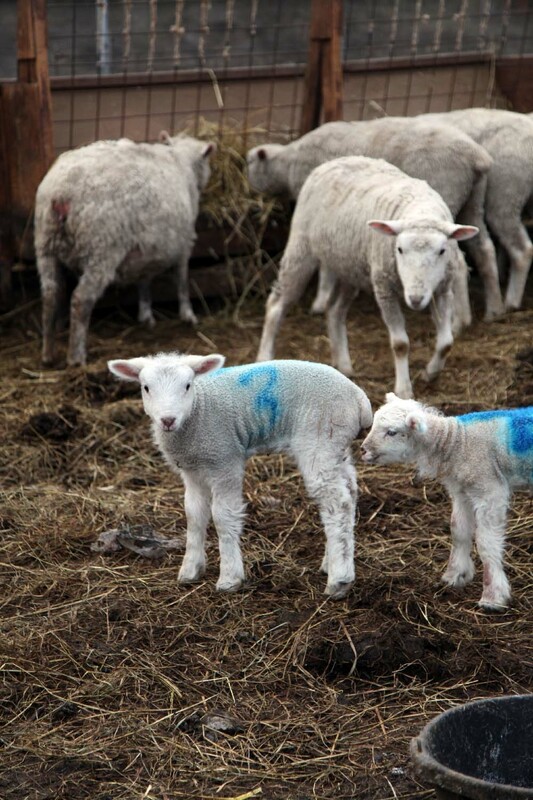 Love watching lambing season from afar! Good luck with the big storm - I love it but know it means tons more work for you! 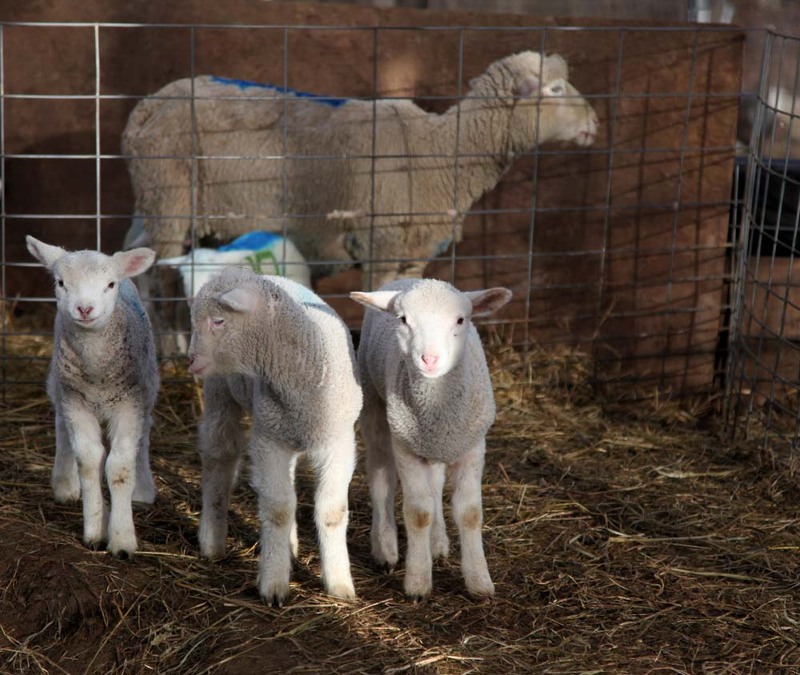 I love seeing the photos of the new lambs. They are so cute. Thanks for sharing.